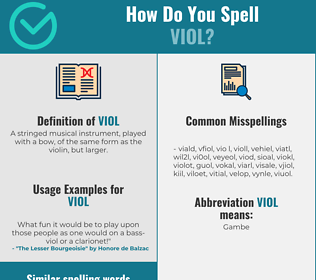 How Do You Spell VIOL? 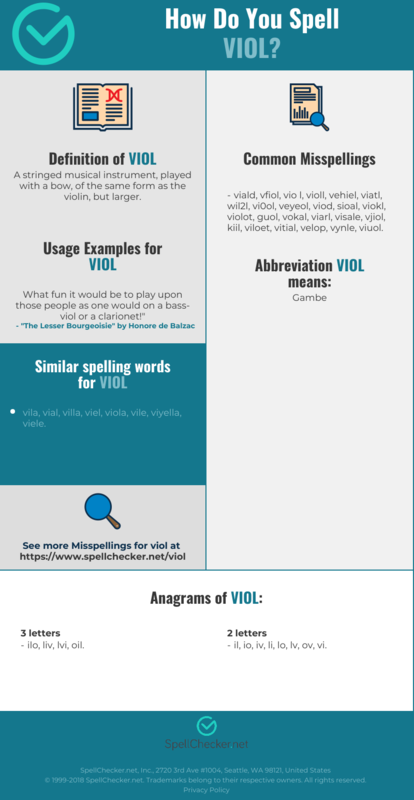 Correct spelling for the English word "viol" is [v_ˈaɪə_l], [vˈa͡ɪ͡əl], [vˈa‍ɪ‍əl]] (IPA phonetic alphabet). Below is the list of 238 misspellings for the word "viol". A stringed musical instrument, played with a bow, of the same form as the violin, but larger. What does viol stand for?